Specializing in Kitchens, Bathrooms & Home Additions. 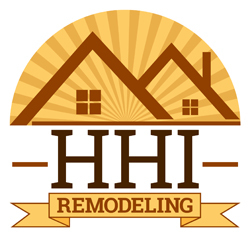 As the sole owner of HHI Remodeling, Tom Heckendorn, has served the Dallas area for over 25 years. Whether you’re interested in a full kitchen remodel, bathroom remodel, home addition, or an entire home renovation, Tom will ensure an enjoyable remodeling experience. Having worked in the construction industry his entire life, Tom is extremely knowledgeable in every aspect of the remodeling process. We provide general contractor services for all home remodeling projects. From simple renovations to full home additions, we do it all. Specializing in kitchen & bathroom projects. Having served the Dallas area for over 25 years, our team has seen & done it all. We combine the highest standards of craftsmanship with best sub-contractors in Dallas to ensure quality work. We will work with you closely to ensure your vision comes to life. "We had a great experience using Tom Heckendorn as our general contractor for a major bathroom remodel and kitchen upgrade. We found Tom and his crew to be extremely reliable and were very impressed with the quality of his work. Tom was always available to offer advice and answer any questions that arose. We would highly recommend Heckendorn Home Improvements to anyone considering upgrading or renovating their home." "After using Tom Heckendorn as our general contractor for three separate home improvement projects, we believe he is the gold standard when it comes to expertise, depth of knowledge, and work ethic."